Grand opening announced for September 28th, 2015. What Games Will You Play at Harrah’s Valley River Casino? Murphy to Manteo is how I often describe where I grew up. Having lived in the Raleigh, Durham and Chapel Hill area for over a decade I can honestly say I have had to describe the small mountain town I grew up in to thousands of people. While I grew up in Topton and went to Robbinsville High School most people have never heard of those specific areas. UPDATE: If you are looking for Murphy, NC Casino job information click the link. If you plan to visit the Murphy, NC casino location below is the exact spot in which it is location. It is just past the WalMart and Snap-On Tools heading towards Andrews, NC on US Highway 19-74-129. 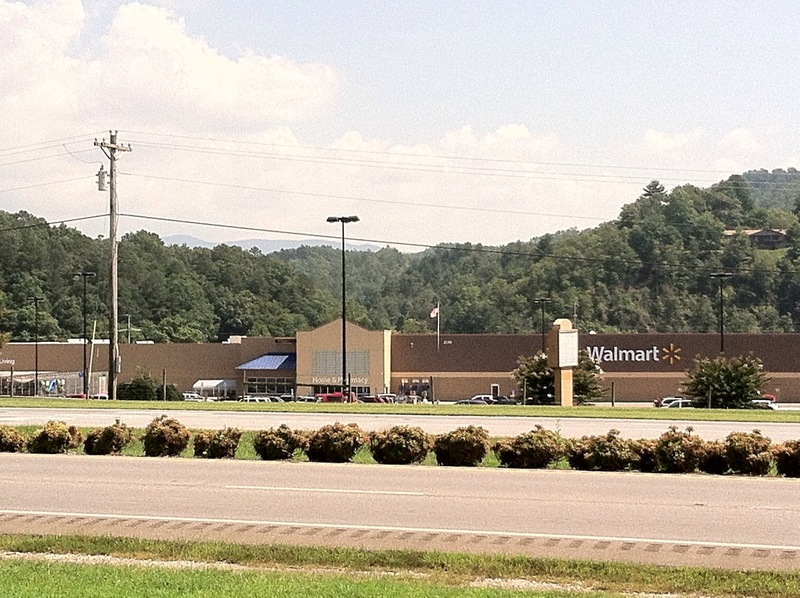 Just Google Map search “Walmart Murphy, NC” and you will be less than two miles from the casino location. UPDATE: During the early part of August 2014 I was able to spend a few days in the mountains of North Carolina. I actually stayed on the Upper Nantahala River but was able to make the trip over to Murphy. After eating lunch with a friend at Doyle’s I spent a few minutes taking photos of the construction site on the left hand side of the road when heading into Murphy from Andrews. Below are some of the images. I was also informed that the Cherokee Indian Tribe might be looking to partner with a golf course closer to Tennessee or even in Tennessee. 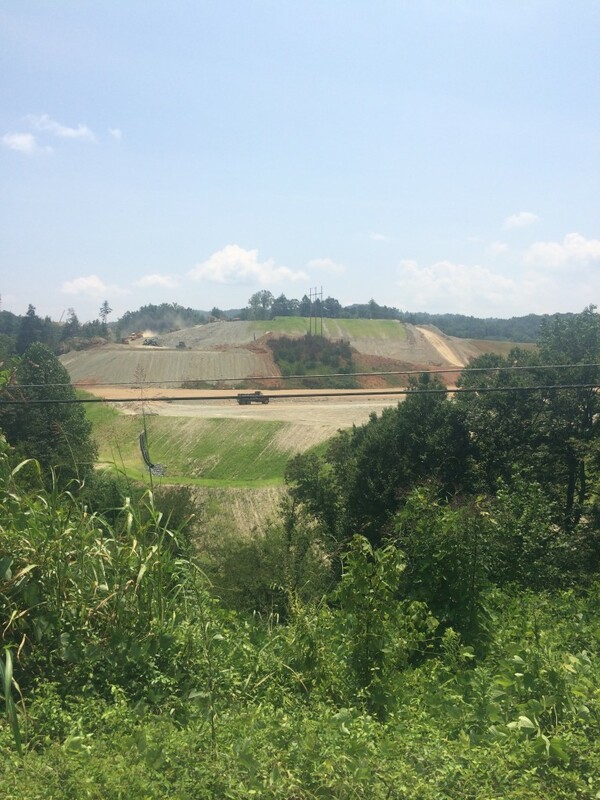 They partnered with Sequoyah National in Cherokee but that course was built the same time as the Cherokee Harrahs Casino was being built. From what I understand, this is a private golf course that has been a mainstay in the area for quite some time. It is important to note that this is not one of the golf courses in Murphy or Hayesville. As I get more information about this particular golf course I will be sure to pass it along. 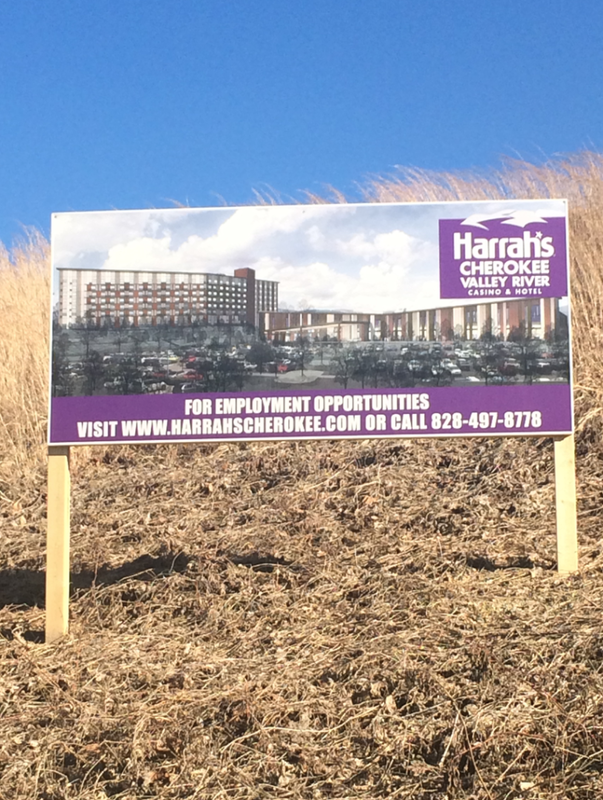 When I was in high school in the small town of Robbinsville the Cherokee Harrah’s Casino broke ground. When the casino opened there was no alcohol, no card dealers and no major hotel. Boy, how things have changed in Cherokee. In 2009, the council OK’d alcohol and in 2012 traditional card games were introduced with dealers. It was truly shocking to hear there were going to be card dealers as the mountains of North Carolina are not exactly a hotbed for numbers minded individuals. In fact, there is a very small percentage of the population that actually has a college degree. The success of traditional card games and actual dealers has allowed the Cherokee Indian tribe to expand their casino. 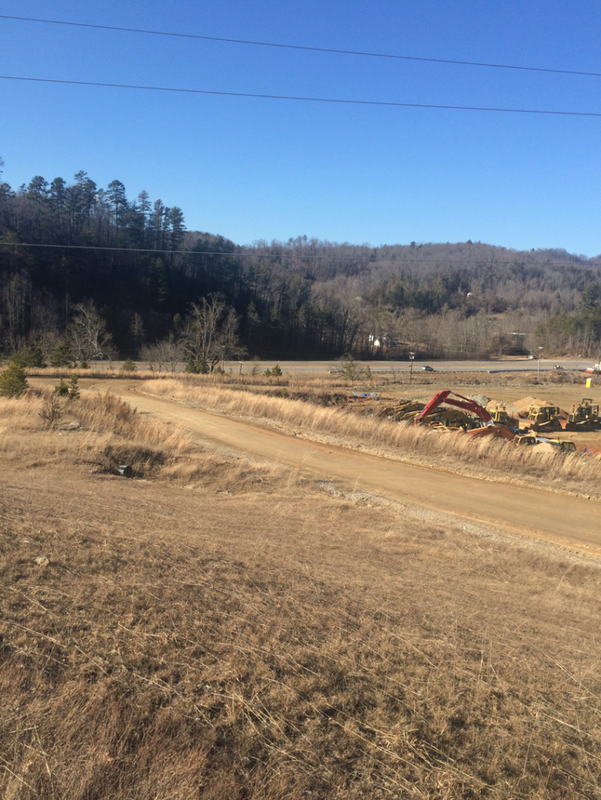 Not only have they expanded the hotel but they are building a brand new location in Murphy, North Carolina. The official name of the casino is the Harrah’s Cherokee Valley River Casino & Hotel. The Valley River is the river that dissects the terrain from Murphy to Andrews. If you are driving from Murphy to Andrews you will cross over the Valley River many times. Once inside Murphy the Valley River heads towards Peachtree and Hayesville. If you are in this area you may also be interested in the Port Royal Resort in Jasper, Georgia. 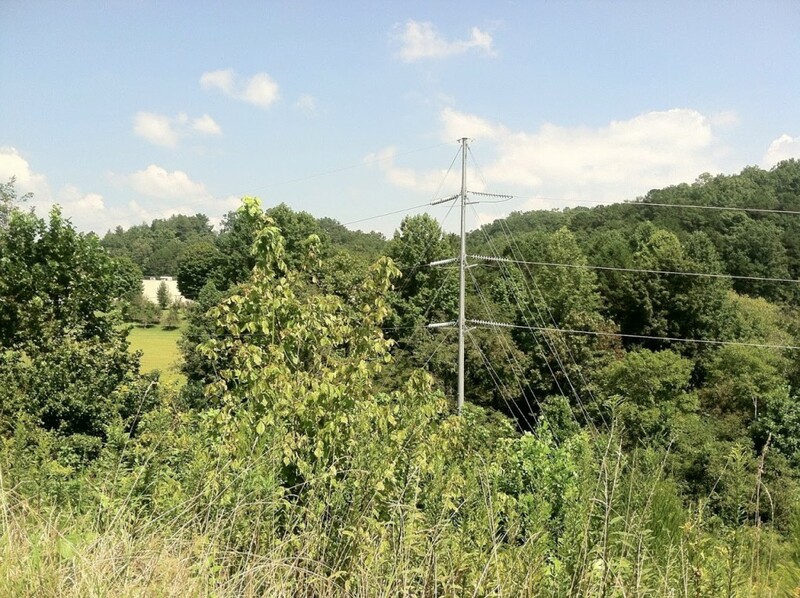 As you can see, there was plenty of lush green vegetation on the side of the mountain behind the Murphy WalMart. When I was growing up in the mountains of North Carolina this WalMart was actually the #1 selling WalMart in the United States. As other Super WalMarts have been built in the area I am not certain that is still the case. Now that the Cherokee Valley River casino is coming to town this WalMart is going to get crushed with much more business. I will be interested to see when Walgreens, CVS and all other retailers try to surround that area as those staying at the hotel will want to buy the necessities. This article was published in the Cherokee Scout and republished in the Graham Star in the early part of January 2015. This is something that is going to be a hot topic over the next few months. Cherokee County does not want to have the problem of strip clubs or adult entertainment clubs coming to Murphy, Andrews, Robbinsville or Hayesville. I will continue to update this as the “adult entertainment ordinance” is voted upon in Cherokee County. One thing that still shocks me about Cherokee, North Carolina is the fact that there are no healthy eating options with a busy casino in the area. When I visit Cherokee I always want to grab a sandwich at a local sandwich shoppe or a Panera. Unfortunately, Cherokee basically has a Wendy’s, Arby’s, McDonalds and a few other rinky dink places. Trust me when I tell you there are not many options. I grew up in the area, I know. I would imagine that Murphy would be ripe for the picking for a sandwich shoppe or any type of healthy eatery. I know those in the area do not necessarily want to eat healthy but those coming up from Atlanta or other major metropolitan areas do. I would also expect to see a Chickfila in the area very soon. 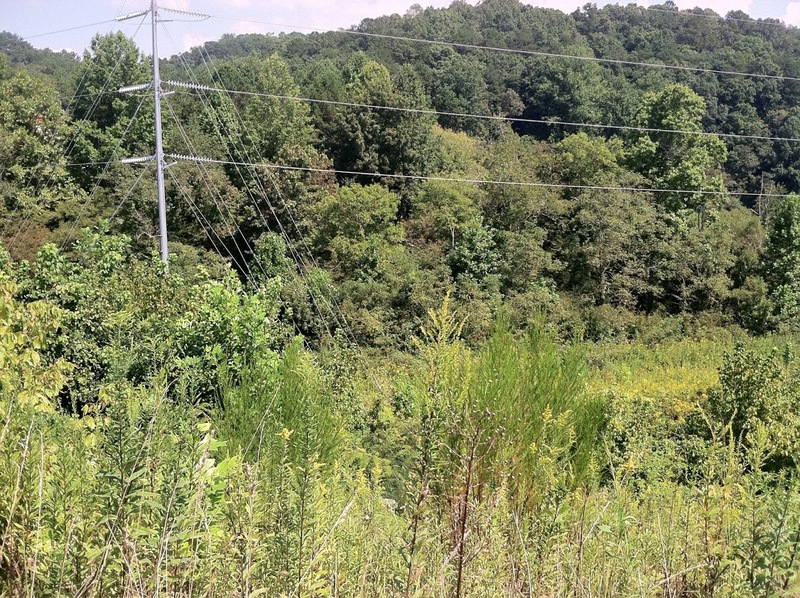 Zaxby’s, Bojangles, Smithfield’s BBQ, PDQ and many other fast food chains will likely stake their claim to real estate in and around the Cherokee Valley River Casino and Hotel. There is currently not a Marriott Hotel in Murphy but you can expect for that to change as well. In Cherokee there is a Fairfield Inn Marriott hotel right across the street from the original Cherokee Casino. Some other hotels that will likely be built include Doubletree, Hampton Inn, Budget Inn, Hilton and Crowne Plaza. I know the hotel at the casino will be a popular locale but the hotels across the street will likely be much cheaper per night. If you have stayed at another hotel in the town of Murphy please feel free to let me know how it went in the comments. If you are planning to visit Murphy for the first time please understand that this is not a large town. Even if the hotel is on the “other side” of town it won’t take you more than five to ten minutes to get to the casino. Heck, you can stay in Andrews and still be able to get to the casino in less than 15 minutes. This may be a strong consideration for someone that is really looking to save money so they can gamble it away at the casino. A word of warning: there is absolutely nothing in Andrews. There is a Mexican Restaurant and a small steak house but there are certain nights of the week that these restaurants close at 7:00 or 8:00 pm. There is a McDonalds and a movie theater (2 cinemas) in Andrews but that is about the extent of it. Do not expect to find much entertainment in Andrews, North Carolina. As far as entertainment in Murphy, there is a golf course (Cherokee Hills) and a unique downtown scene. If you go to the downtown area on a Friday or Saturday night you will see kids for neighboring high schools cruising “the strip”. If you happen to be in Murphy on a Friday night in the fall you can be rest assured that the entire town will be at the Murphy Bulldogs football game. If they are playing the Swain Maroon Devils or the Robbinsville Black Knights you are in for some quality entertainment. Pay the $10 for a ticket as it will be a sight to witness. You will be shocked at some of the things you see and hear at a Murphy high school football game. There is a golf course in Murphy but I have not heard great reviews. In fact, there are no bunkers on the entire course. There are a few golf courses in Hayesville including The Ridges and Chatuge Shores. Remember that mountain golf is a little bit different than your classic flat golf course like Pinehurst. I have a few friends that have played both of these courses and I will give them a call to get a solid review. I will post those reviews when they are available. Sequoyah National Golf Course, in Cherokee, NC, is a very interesting course to play as it is a true mountain course. I would strongly suggest playing Sequoyah National with someone that has been on the course before. If you play it along you will lose 18 balls on the first nine holes. I kid you not. You will hit a great tee shot with a driver and you will never find your ball as it likely went off the side of the mountain. A word to the wise, learn how to hit a dead straight 200 yard shot if you want to play Sequoyah National well. Also, you will have a ton of uneven lies so prepare for that. I have played Sequoyah National dozens of times so I will do a separate review so you can determine if you want to spend the time driving to Cherokee and the money for greens fees. As far as other entertainment in Murphy, NC, forget about it. There are no shopping malls. The Henn Theatre is very old and there aren’t a ton of other options. When I was growing up, the best entertainment was going to WalMart and people watching. I would strongly suggest doing this. Bring a camera and a straight face. It will be very difficult to keep a straight face. The website People of WalMart must get 50 submissions a day from this particular location. I have much more to say about the potential for the Murphy NC Harrahs Valley River Casino and Hotel but I will stop here for now. As we continue to get closer to the grand opening I will have much more. Also, if you have stayed at the Cherokee Indian Casino in Cherokee, North Carolina please feel free to leave a review. I would love to hear how your trip went. Did you play Sequoyah National Golf Course? Did you stay at the hotel in the casino or somewhere else? Are you excited for the brand new Murphy casino to open? Will you gamble your money? Do you think you will visit a few times a year? Feel free to let me know in the comments below. Will There Be a Bingo Hall Near the Murphy, NC Casino? It is highly unlikely there will be a bingo hall anywhere near the Murphy, NC Casino. Unlike the Cherokee Casino, most of the land around the Valley River Casino is not tribal land. This means there cannot be certain types of activities and businesses like there is in Cherokee. Also note that the Cherokee Bingo Hall was established well before Harrah’s came in and put up a casino in Cherokee. If there is an update on a bingo hall I will be sure to post it here but I do not think there will be bingo in Murphy, North Carolina in 2015 and/or 2016. YES VERY EXCITED ABOUT THE CASINO COMING TO MURPHY. 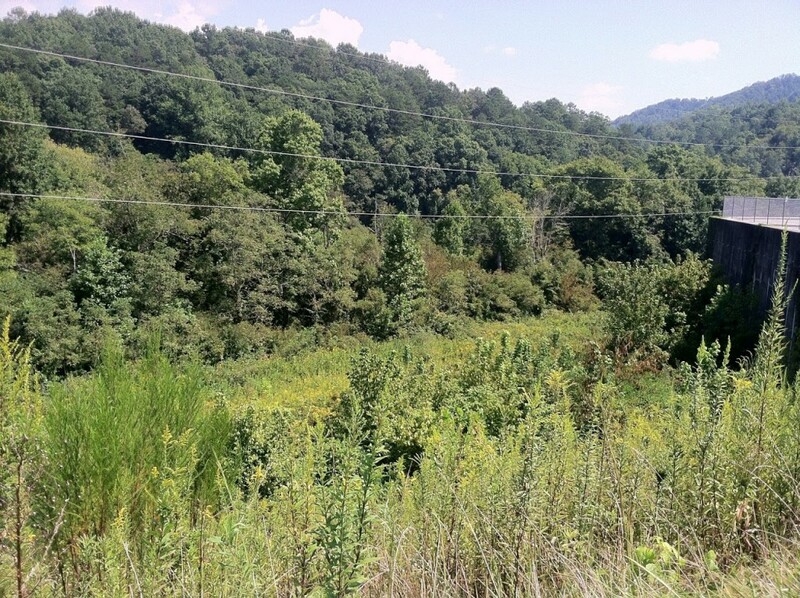 MY SON IN LAW HAS PROPERTY OFF JOE BROWN HWY, AND IS PLANNING ON BUILDING A HOUSE THERE. AND I KNOW WE WILL BE SPENDING ALOT OF TIME TIME THERE. My husband and I have been visiting Murphy for the past 10 years and bought a home near “Fields of The Woods” It is a quiet little town, surely to waken when the casino is opened. I heard that an Outback Steak House is coming to open, in town. The town is surrounded by beautiful mountains and the scenery is breath taking! We have stayed at the Quality Inn and the rooms are very clean, near to the eateries and they have started to redo the outside of the hotel. If you want country living, small town atmosphere, come to Murphy! These is no argument to be made that Murphy, NC is small town, country living. I had not heard the rumor of the Outback Steakhouse but that would make sense as the Western Sizzler steakhouse that used to be in Murphy was closed years ago. If you want a good steak there are very few true steakhouse options. If you hear anything more on this rumor, please feel free to keep us posted. My brother-in-law and I drove to Murphy Casino Friday afternoon and I think it took 30 minutes to go through the casino floor. A pitiful excuse for a casino. A wasted $100,000,000. If this is what casinos are becoming, I’m done. It’s become aN adult video arcade. No reel to reel machines to play, all video with flashing lights. The table games were all high dollar minimums $25, $15 maybe a $10 minimum blackjack. No payouts that we could see, not even small ones. Cherokee Casino has more to offer than this one in Murphy. My last visit. We left at 8pm and still not very many people there on a Friday night. I guess the word has gotten out already. When leaving they charged us $12 for parking…What? STAY AWAY. LET’S NOT EVEN TALK ABOUT THE DINNING. Good to know. We won’t waste our time or money to visit Murphy Casino. It’s hard to say what every consumer needs are when they are in a casino. I have been 2 times and both times were just as exciting. I was up several K just to blow it the next moment. The casino is a warm welcome in my opinion. This is not Los Vegas and if you expect that you will be disappointed “more like Shreveport LA,” with out the infrastructure yet as everything from this point forward will be new. If your not a savvy gambler like I am not but understand economic growth it’s a guaranteed winner to invest in this new found one horse town. Deeply undervalued real estate for the up and coming market not to mention the entire city is surrounded by lakes and rivers. Growth is eminent. My husband and I thoroughly enjoyed our visit here. No hustle, bustle crowds.. Very nice attendants and staff. Our room was great and we could see directly out to where our car was parked. We are the average player taking only what we want to play, win or lose. We hit several good hits that NO did not leave us big winners but did give us the casino money to play on for quiet a while. We liked it even more than Cherokee due to the space and time to move around the casino and to reach our room. I think folks are going here looking for a Vegas experience and its not the place for that. The music was great. The food choices were fine as we were not going for a Fine Dinning experience. We hopefully will be back soon and plan to go as often as we usually go to Cherokee. I am glad we didn’t let the negative reviews keep us away from this pleasant experience. Go check it out for yourself and see what your opinion is. My wife and i bought a home in Murphy in 2010, we absolutly fell in love with the town. Medical reasons we had to leave. I lost her, Dolores, last year, 2013. I so wanted to head back to Murphy until i heard about the casino. I do not see anything good coming from this. I lived in N.J. many years ago and went to Alantic City once. The casinos are beautiful, but look behind them. Drugs, prositution, crime everywhere. Is this Murphy’s future? Only God knows. I think the train system should have been the project for the economy of Murphy, not gambling. Just one opinion, which in this world these days, the power of speech is declining daily. I agree, I would have rather seen the train any day! There is GSMR in Bryson City and I’m sure they could have come up with a plan to get the RR operational all the way to Murphy. The train would have been an amazing thing and maybe sometime they will explore that option. Honestly Craig, I don’t think the GSMR has enough money to expand that far. The train tracks run all the way to Murphy but they just aren’t used. I lived right in front of them in Topton and have walked up and down them for years. About 20 years ago the train went from the Nantahala River all the way through Andrews and halfway to Murphy. This obviously was not a popular attraction becaues they have not done it in years. I do wonder what other attractions will pop up now that the casino will bring hundreds of new jobs to the area. ya I have rode the train out of Bryson city it was beautiful wish it would go to murphy.maybe someday it will. 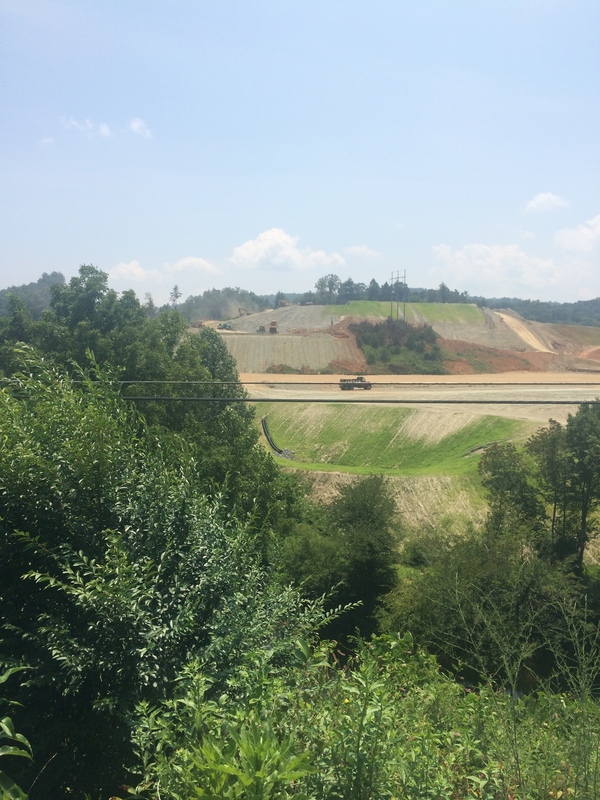 Since the inception of the casino there has been much discussion locally about extending the Smoky Mountain RR from the Nantahala Gorge to the town of Murphy over the remains of the existing rails. 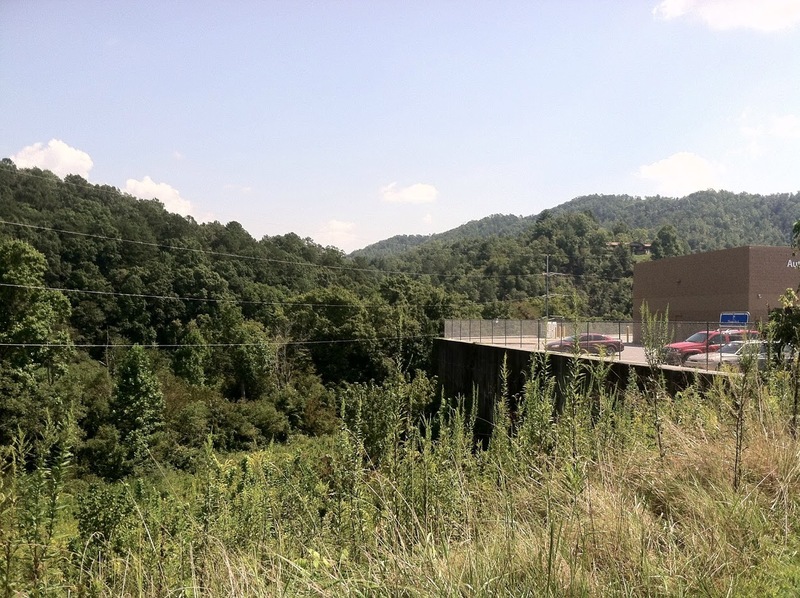 But restoration is estimated to cost $10 million, which the county is opposed to. We have relatives in Murphy and my mother-in-law was born here. We bought in Wildcat 16 years ago. Murphy is not going to go down-hill as a couple of you have thoughts about. Our subdivision has grown to over 125 homeowners who are happy to enjoy the great fishing, boating, hiking, food, and natural beauty the area has to offer. GROWTH is part of every day life. Since this is not an industrial town, it WILL put the town on the map, and keep it alive, without industry. Look for the positives in life. Don’t worry, be happy; enjoy all the beauty in life, and God’s blessings.we are given daily. If you have access to any photos of the area please feel free to email them to me at jwojdylo@gmail.com. 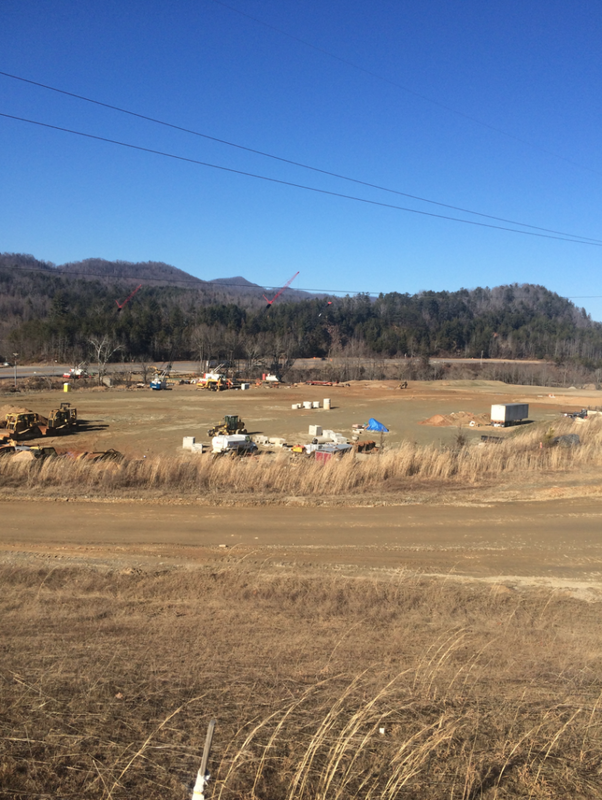 I would love to post some more updates as to the progress of the Murphy, NC Casino. I haven’t been able to go to the mountains in awhile but I may try to get in before the winter. Going downhill in a small town, to most original local folks, is that your subdivision now has 125! I’ve been visiting Murphy from Palm Beach County, FL for the past few years. We’ve been planning on moving there on a full time basis in the next year or so. I will need to find employment and I think the Casino will open many doors for well educated professionals that want to live in this beautiful part of the country. I’ve attended a session with Harrah’s representatives and the corporation is solid. They run a world class resort and whether it’s in Vegas or Murphy they have a standard to uphold. True the community will be forever changed, but change is good for those who embrace it. Wish me luck on the Job search!!! I don’t think there is any argument to be made that this will help open the doors to new opportunities for well educated professionals. Having grown up in the area I can tell you there are not a plethora of opportunities available. Most of the jobs are service jobs and do not necessitate an education. I do hope all works out and please keep us updated on your job search. Maybe you can become a dealer and I can see you on the craps table! My wife and Her sister are really into Casino’s so We are going to ride over to Murphy next week (Oct !! ) and see How They are Progressing on the Building, What Highway is it located on. We will be coming from Clarkesville ,Ga via Dahlonega ,Ga.—Thanks For all the Info You have Posted!!! 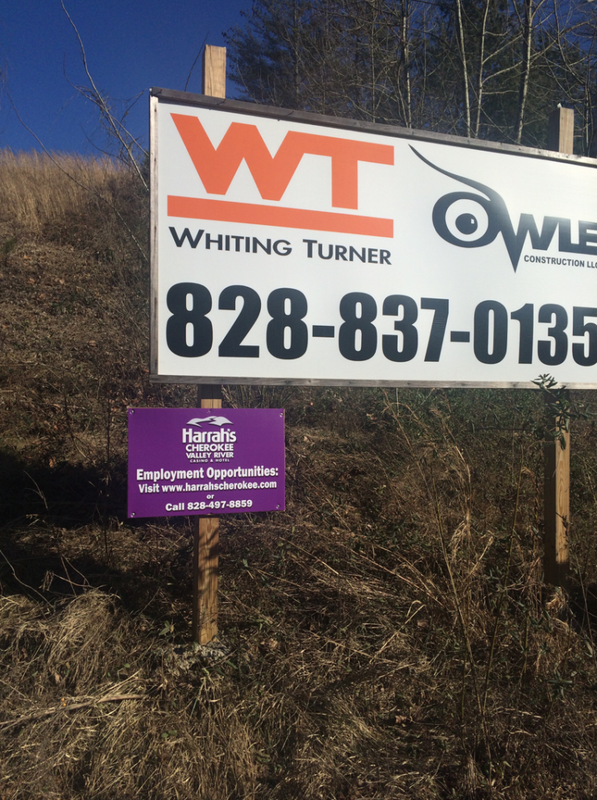 It is on US Hwy 19-129 just past WalMart and Snap On Tools. 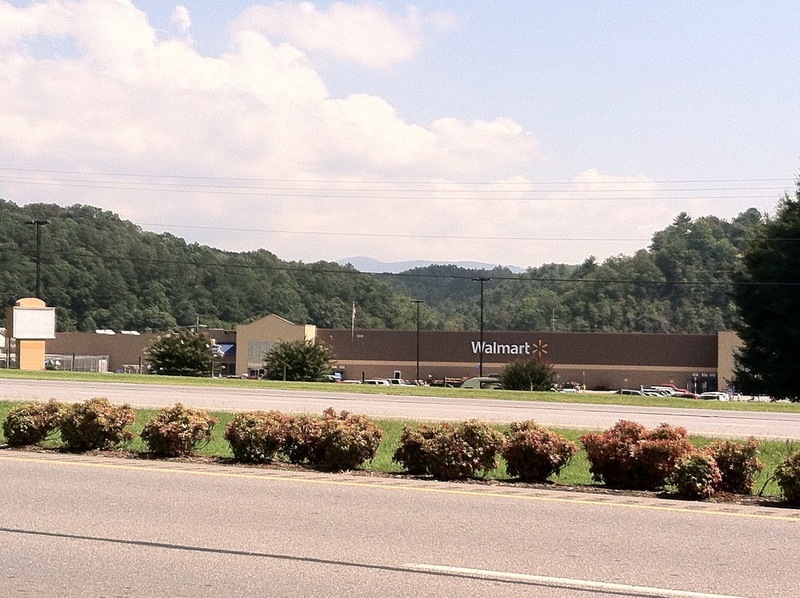 If you go to Google Maps and search “Murphy, NC WalMart” you will be less than one mile from the location. Please feel free to let us know how it is progressing. I would love to get some pictures. Please feel free to email me at jwojdylo@gmail.com if you snap some good pics. I hope you enjoy the area. 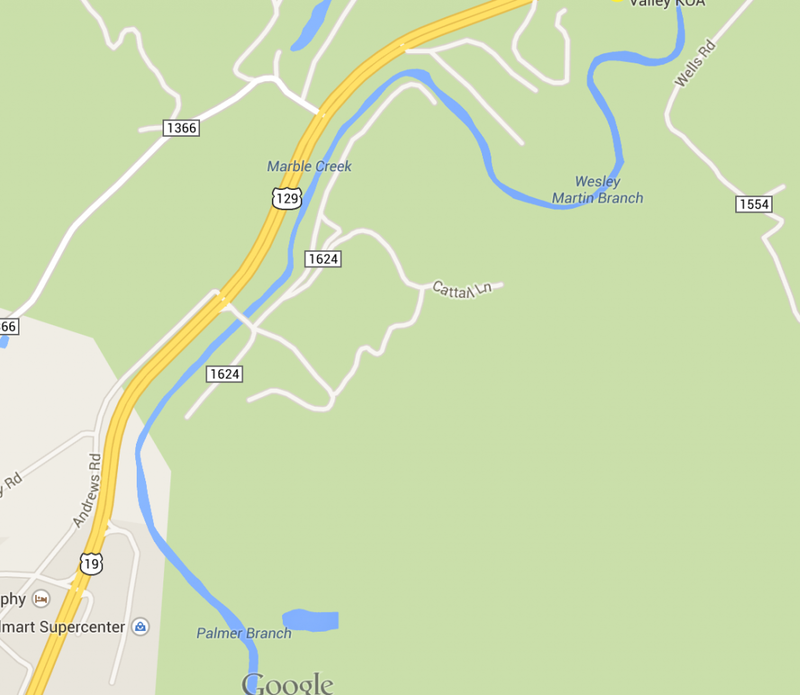 Drive past Murphy and Andrews and head into the Nantahala Gorge. It is beautiful! I go to Cherokee quite often, it has been a blessing to the Native Americans there. There is no really good restaurants in the area simply because this is a very seasonal area. People going to the casino do not typically leave the casino to eat and restaurants can’t make enough money in the summer to stay open year round. If you will notice , most of the locally owned places shut down for the winter. Murphy is also a depressed area, high prices due to the influx of rich people , mainly from Atlanta, coming in and driving prices up. Gas prices are higher than other parts of the South, and wages are low. Plus many companies have left the area, gone out of business, etc. They need these jobs and the money the casino will bring to the area. Murphy does not need a barbecue restaurant, they have Rib Country, the best barbecue place for at least 100 miles. Having grown up in the area and with parents that own a seasonal business I can agree with you completely. I would also impress upon you that business owners in this area are not strong with marketing skills. They market to the local area and do not think of creative ways to market towards different age groups. For example, why do ZERO restaurants in Murphy or Andrews have an active Twitter account? Why do ZERO restaurants have a Snapchat account? When searching on Google for “Murphy NC Casino” you found a website based out of Chapel Hill, NC, this should change. I have always loved the beauty of the area but some of the business owners need to be forward thinkers and not live in the past. This would allow some of those on the Internet that have never heard of Murphy, Andrews, Robbinsville or Hayesville to “find” the area. I have scoped out the current dining prices on line for all the restaurants at the Cherokee casino. We’ve lived 5 miles from Murphy for the past 10 1/2 years. Murphy has 5 dine-in respectable family style restaurants within the town limits (very close to the casino site.) Meal prices at Shoe Booties, Murphy Chop House, Doyle’s, Chevelle’s and Brothers restaurants are nearly half those at the casino eateries. For instance you can get a 3 course meal for 2 at the oldest restaurant, Shoe Booties, for about $30.00 Once the casino trade hears of these, downtown Murphy will flourish. I do think the casino will be a great asset to the people of Murphy. As far as biz owners go ,i agree, they have to become more forward thinking in their approach to their perspective businesses.Necessity is the mother of invention, and if they embrace a new school of thought I’m sure that they will adapt and overcome! I have been traveling up to the Maggie Valley / Waynesville are for many years, and love the whole area.Both my wife and i are looking forward to the time when we can leave Fl. and retire to where we want to be.Murphy is a quaint little town and i think for the most part it will stay that way. On another note, i thought i did hear that the GSMRR was going to explore the option of transporting customers to and from the new casino. It would certainly bring a much needed influx of revenue to the RR and provide a necessary service route for customers who did not wish to travel by their own means. Love the mountains and the Nantahala Forest! I do think the casino will be a great asset to the people of Murphy. As far as biz owners go ,i agree, they have to become more forward thinking in their approach to their perspective businesses.Necessity is the mother of invention, and if they embrace a new school of thought I’m sure that they will adapt and overcome! I have been traveling up to the Maggie Valley / Waynesville are for many years, and love the whole area.Both my wife and i are looking forward to the time when we can leave Fl. and retire to where we want to be.Murphy is a quaint little town and i think for the most part it will stay that way. On another note, i thought i did hear that the GSMRR was going to explore the option of transporting customers to and from the new casino. It would certainly bring a much needed influx of revenue to the RR and provide a necessary service route for customers who did not wish to travel by their own means. Love the mountains and the Nantahala Forest! Bob P ,Port Saint Lucie, Fl. I heard this casino may be partnering with a golf course in Blairsville, GA. What have you heard about this rather than one in TN – seems to make sense to me since Blairsville is closer to Murphy and the course, though currently in disrepair, is a Denis Griffith designed course. I live in FL, we bought 9.46 acres up on Beaverdam Rd in Murphy for retirement. We are selling, I know what comes with casino’s have seen it one too many times. Anyone want to buy our land, $49,900. The Beaverdam Creek runs through alot of the property, in October 2013 we put in a septic tank, a well, cleared the property to build a cabin (also cleared room for an RV while the cabin was to be built). Put in a new culvert and a gravel driveway. Just call my husband Walter @ 321-205-3520. Thanks! 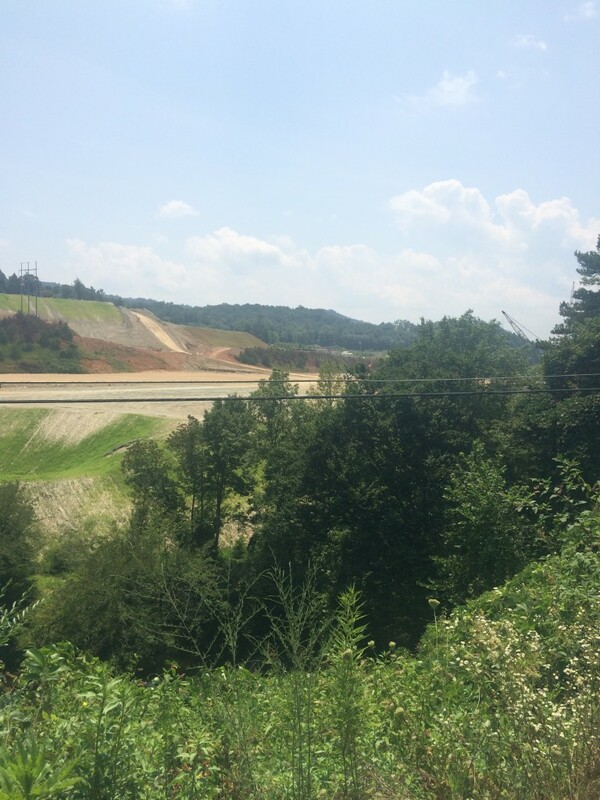 Would like to be kept informed on the progress of the casino being built in Murphy, NC. Would also like to be informed on the opening of the casino. Peggy, The next time I am in the area I will take some more photos and get more information. One of my friends works for the Cherokee Indian Tribe so I will keep you up to date on the situation in Murphy, NC. Thanks for the info you provide here. I am a Florida resident and own property in the Murphy area . I have been looking for a good source on the Casino’s status as well as its impact on the Murphy area in general. Keep up the good work. I look forward to periodic updates as your time allows. You are welcome. 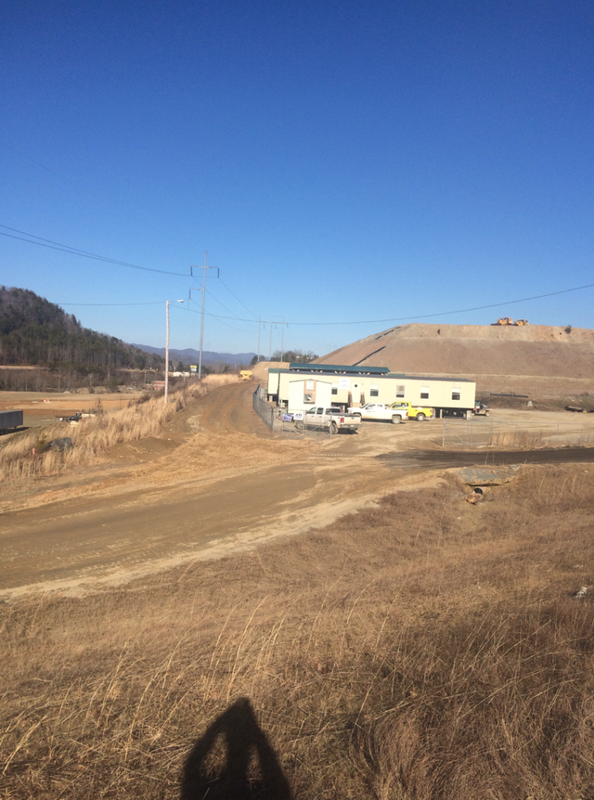 I am actually in the process of writing a post explaining how the first phase of the Murphy, NC casino will not include a theater or entertainment center for music or comedy. That will come in phase 2 just like with the Cherokee Harrah’s casino. This is a great opportunity for local business! Murphy will boom due to the Casino. Gary Ward at Advantage, Chatuge Realty has some perfect Commercial Real-Estate near the Casino. This is the time to open a Retail, Professional Service, Restaurant/ Food Service, Bar/Tavern, Hotel/Motel, Barber/Beauty Shop and be ready for the grand opening. If you grew up here then you must know that Murphy has one of the highest Meth drug use to include crime, Forclosures, etc….. The town is living back in the 70’s… and looks it. The town of Murphy better make changes or they won’t see any visitors except the Casino. For all those that have negative thoughts about the casino should take a drive over to the Harrah’s in Cherokee, NC. We’ve been there several times and it’s always very clean, good people, etc. It’s not fair at all to compare the likes of Atlantic City to such a nice area as Western, North Carolina. The only drawback is don’t go to increase your funds these casino’s don’t pay build these beautiful large structures by loosing money. Lakes in the area are as nice as you will find anywhere,I’m looking forward to the casino opening because every time I visit our house I try to visit cherokee which is very nice but this one will be 60 miles closer . Murphy has a lot of places for good food, Doyle’s, a great hamburger at Parker’s drugs, and all kinds of fast food. If you have never visited murphy do yourself a faver and give it a try. Tommy, I have never played the Murphy golf course but I have heard good things. I too agree that Doyle’s is a fantastic place to eat. There is a BBQ joint in Murphy named Herb’s that I think you should try out. It made the NC BBQ Trail list. Have owned a chalet style cabin in murphy for 15 yes with my sister. Love the area for its mts, peacefulness and serinity. Just retired want to spend more time there in the future,. We live in AL and are caring for our mother, can’t leave much at this time. I truly hope the casino does not change the murphy we love too much. From my observation in the yes we have been able to visit, the people can use more job opprtunities. Maybe I will be good for the murphy area. As of today the casino will open August 15, 2015; the 330 room hotel will open shortly there after. I was at Cherokee Labor Day. They are advertising on boards Sept 28 at 2pm. They told us our total reward cards would stay the same at casino in Murphy. A few friends of mine said they have received slot playing coupons for Murphy. Can’t wait to see it! we need another casino in Northern NC or Southern Virginia . Since this is not reservation land how can they build a casino there. Whats to keep them from building a casino anywhere in the state. North Carolina voters should legalize casino gaming to get their fair share in taxes. Having casinis on the reservation is one thing. Letting them buy land off the reservation is another. If this is allowed then anyone should be allowed if they meet the qualifications. Why should any one group have an exclusive franchise? 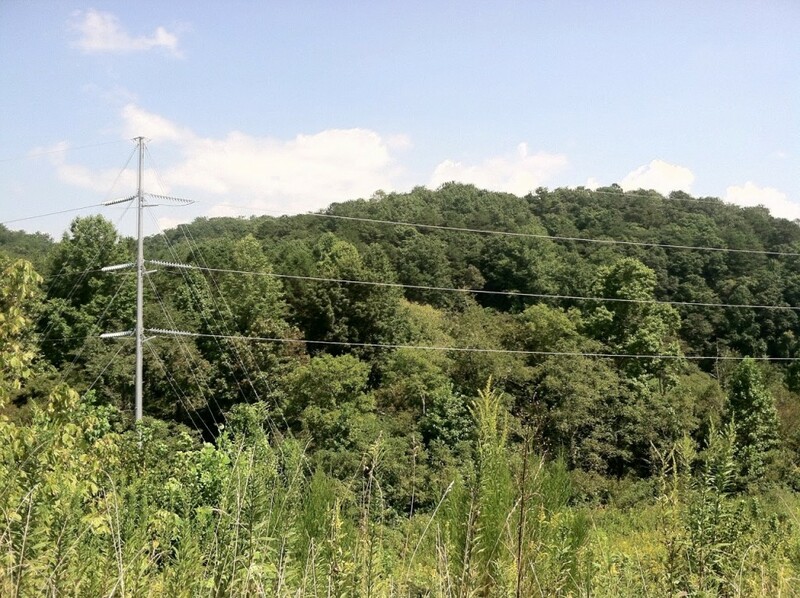 The 80+ acre site of the casino is owned by the Eastern Band of the Cherokee Tribe. We purchased property in Indian Rock Springs back in 2008, and are planning to retire and build our dream cabin within the next four years. We are from Florida and have been visiting Murphy for many years. We think the Casino will be great for the economy and for property values, will boost the job market also ! We love Murphy and the surrounding areas…casino will be great fun ! Murphy will change, progress always comes on the heels of a bulldozer I wish we could have kept it the way it was. Murphy and surrounding area will be changed forever. Progress always comes on the heels of a bulldozer. We had something very special in this area and we are about to loose it. I HATE TO THINK OF THE CHANGES ON THE WAY – THIS WAS A UNIQUE AREA – SUCH A SHAME = MONEY ISN’T EVERYTHING. I LIVE IN STATESVILLE, NORTH CAROLINA AMD HAVE BEEN GOIN G TO HARRAH’S SINCE IT WAS JUST A BLOCK BUILDING. I AM LOOKING FORWARD TO THE GRAND OPENING FOR MURPHY. I CAN’T HARDLY WAIT TO SEE IT. THE DRAWING OF THE CASINO LOOKS GREAT. We live in Murghy n.c. We love it here.we are from n.y. We think the casino will be great for the area it is opening Sep 28 at 2pm everyone we know is coming! Yes it is a quiet town The Casino will not Change that it will bring many jobs to the area as we are from NYC we have seen it all my husband was very very close two tower 2 on 911 so we love live murghy is the place to live!! We want to know when we can expect an opening for Murphy Casino in N.C. Want to come up for my Birthday around the first of Oct.
Glad to have another Casino. I will be there on my Birthday which is in April. We are from Florida and have a vacation home in Murphy and often go all the way to Haysville to the Copper Door. It’s one of the few Open Table Dining restaurants in the area. Is the casino in Murphy going to have fine dining? that can blind you without sunglasses. Unfortunately a few glitches that will be ironed out soon will help. the long slow moving line. ( had an old expired card from Cherokee) … COUPONS from Cherokee are not honored…Why not? Is not the casino part of Harrahs? We have a mountain house in Young Harris. 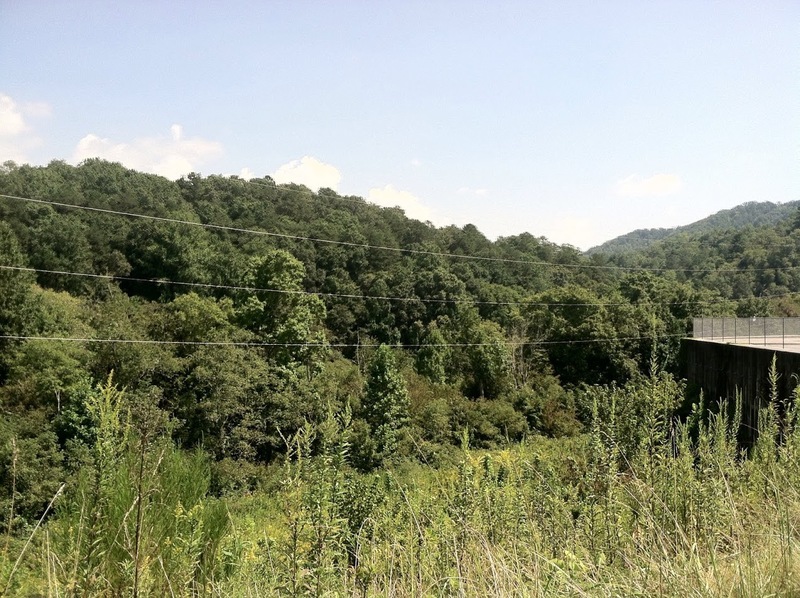 There’s not a lot to do there, as it is so small, but Hiawassee is not that far from Murphy either & has a good selection of restaurants, as well as Blairsville. The Brasstown Valley Lodge has excellent dining & a fantastic golf course! Beautiful area, & it is growing! Hate to see it in a way; love the slow paced, rural, not crowded or commercialized area that it used to be 40 years ago when my parents lived in the mountains. Guess that’s progress; it can be good or bad. Personally, I hate Gatlinburg & Pigeon Forge, because it’s too commercial! My husband & I rented a cabin outside of Pigeon Forge 29 years ago for our honeymoon & loved it. But, we enjoy riding & looking at the gorgeous scenery or just pulling of the road for a simple picnic; we don’t have to be entertained with ‘attractions’ & casinos. Lots of people like that though, so I’m sure Murphy will prosper because of the progress! We just came home from the casino in Murphy and LOVED IT… we had been to Cherokee and stayed one night and had not been there in a few years. We found the casino way to large for our liking…. we kept losing each other in the casino and was to far to our room…had to get a wheel chair…..Now Murphy was fabulous, just the right size….room was great, corner room with two windows. Food was fine and even during a snow storm at least one restaurant stayed open, a lot of employees stayed at hotel to accommodate guests who were there. Wonderful experience and we will be back many times in the future. VR Casino isn’t for gamblers accustomed to Vegas action. It is, in my opinion, a good introduction to casino play. You won’t be overwhelmed, the table games are friendly and staff are pleasant and welcoming. Slots are fun and entertaining, but don’t be surprised by modest payouts and few bonanzas. The layout is fairly small, but has quite a selection of machines. Easy access, good location, basic but good food court meals, and well situated for WNC travelers. We now reside in Hendersonville, but own a cabin in Murphy that is for sale (listed with Exit Realty). Very private and peaceful, but only 15 min. to the casino. Murphy has small town charm, good restaurants, and is worth looking at! As I was searching for the current alcohol ordinance/law that the county will vote on tomorrow March 15, 2016, I came across your article relating to Murphy, NC & the casino. I am not a native, however Cherokee County, Murphy & the surrounding area embraced family & I with open arms 15 years ago. I came from a large city & wanted my family to grow in a strong community setting like I had in the valley of Montana. It was the perfect area. I worked in the public sector for many years & for the last 10 years have run a successful cleaning business. I have seen growth, turmoil among our community & government, housing flourish then fall (as the rest of the country did) and a change in the “family” atmosphere. So good & bad you could say. Here is just a small sample of what is happening here in Cherokee County. The Henn Theather, was recently purchased and is being updated as I type. The town of Murphy still has a variety of restaurants to chose from. Including a few new places commercially and locally owned. We have seen a small growth of commercial stores reopen to larger store fronts and new stores come into empty buildings. Private stores are popping up too. The road system is receiving updates throughout the county. The old L & N Depot received an update. Along side, the Hackney Building is successfully holding weddings, and events throughout the year. Even the little building next to it is under a remodel. We have a terrific Farmers market at the same location during the spring and summer weekend. Our “flea market” still does an outstanding business on the weekends-and open year round. Andrews is slowly growing with restaurants, music, and activities for everyone. In Brasstown , the John Campbell folk school is thriving to full capacity! Tri County Community College has activities as well and has expanded its curriculum. So come back and see us ya’ hear!